The WarmTouch mat products all have an adhesive backing for easy installation. Use our mats in larger more straight-forward shaped rooms. Calculate the correct sized mat/s for your area and choose from one of our mat products depending on your requirements. To install simply roll them out, cut the mat backing and turn back and forth to cover your floor. This mat is as good as any available. It’s only 2mm thin, has an adhesive backing, class leading technical specification and is ideal for warming floors or indeed heating the floors in any room. 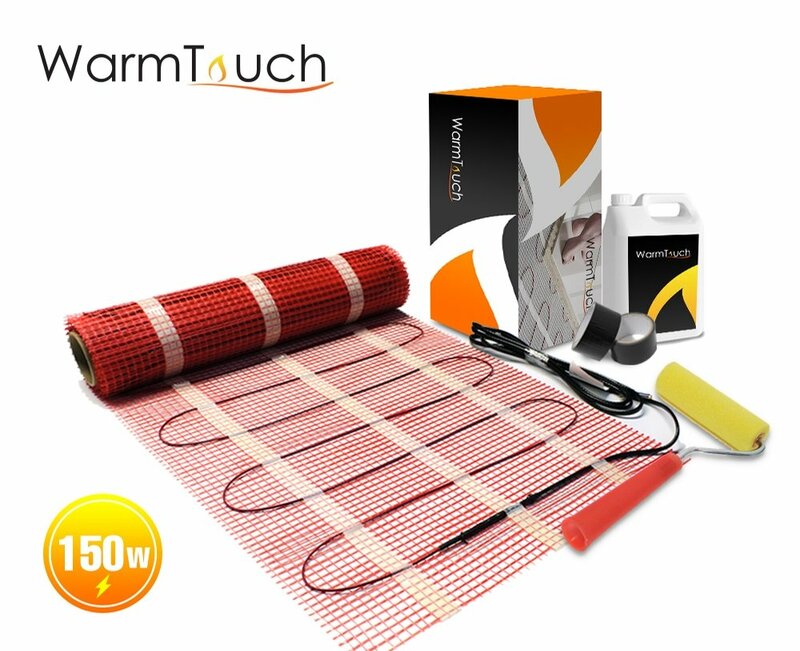 This 150Watts/m2 WarmTouch Pro mat is very powerful and has the benefit of being only 2mm thin! We believe this mat is the best value product on the market. Although the mat maybe slightly more to purchase than lesser quality mats available, it actually saves you money using less leveling compound/adhesive. Available in a range of sizes from 1m2 to 12m2.